It’s coming! Miles for Mali that is. 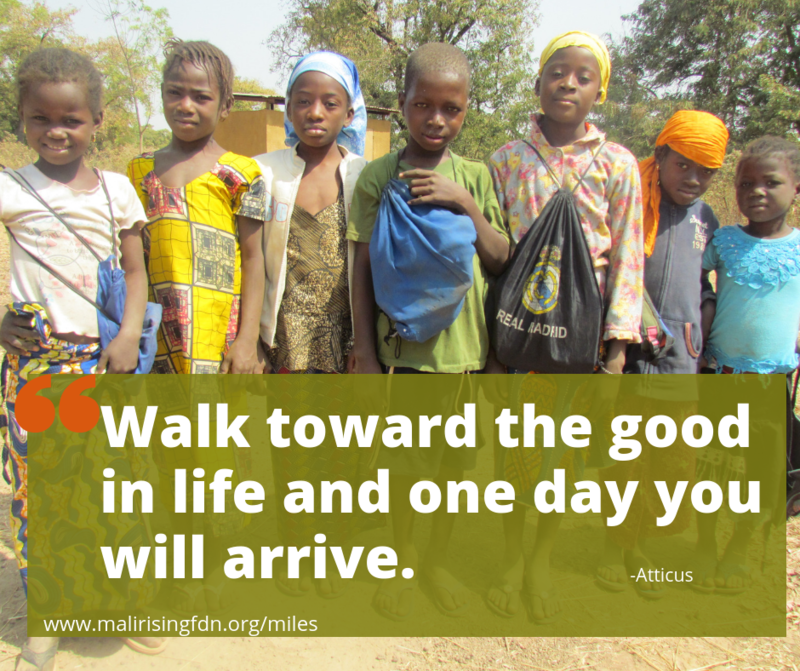 Funds raised by Miles for Mali walkers will help build our 2019 school in the little village of N’Goko. What is Miles for Mali? It is simple: In May 2019, we challenge you to walk or run the distance children in rural Mali villages walk to get to school in one week (40 miles) or one month (160 miles). Registration opens April 1, so get ready now. Want to get the most out of Miles for Mali? Create a team! We’ve had families walk together, friend groups run together, and new friends on different continents who forged a competitive friends by trying to out distance each other. Sign up here to be notified the moment (!) Miles for Mali registration opens on April 1.